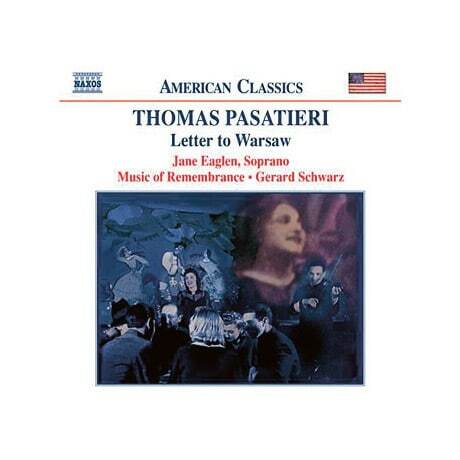 This tonal, late-Romantic work by American composer Thomas Pasatieri was commissioned in 2003 for soprano Jane Eaglen and conductor Gerard Schwarz by the Seattle-based group Music of Remembrance. (His previous Fragments of Isabella was inspired by the memoirs of Auschwitz survivor Isabella Leitner.) Here, Pasatieri's texts are the writings of Polish poet/cabaret performer Pola Braun (c. 191043), who was interned first in the Warsaw ghetto and then in the concentration camp Majdanek, where she died in a mass execution. The enclosed booklet contains the lyrics as well as background information on Braun and Pasatieri's tribute to her.